When railways were first being developed, the companies that built them were very competitive in creating terminal stations that would impress. Sadly, over the years many of them were knocked down and redeveloped. Thankfully, not all of them were destroyed and now the approach is to take the existing infrastructure and use it as the basis for a modern facility. 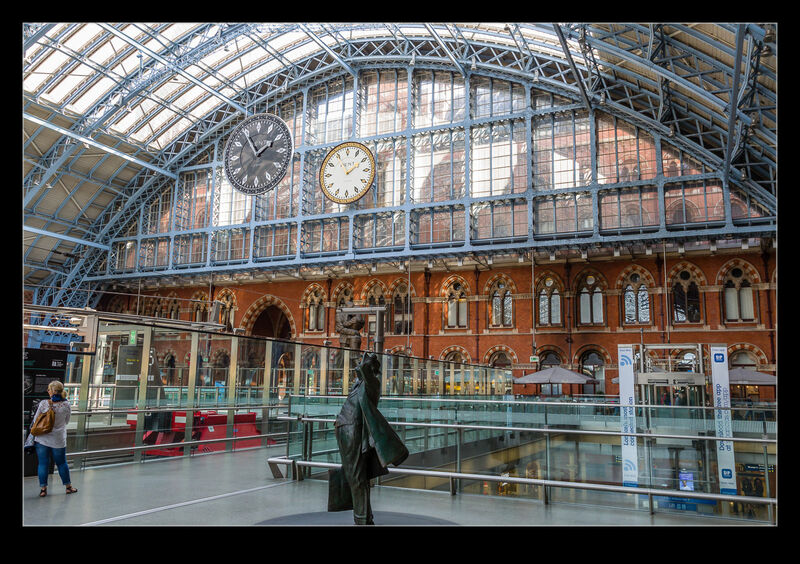 St Pancras in London is a great example. I used to use it in the late 90s and early part of the 21st century when it was the terminal for Midland Mainline. At that time, it was not a terribly busy station. It had the original hotel fronting the station and the roof structure over the platforms. It had an air of faded glory at that point. Then the big changes came. 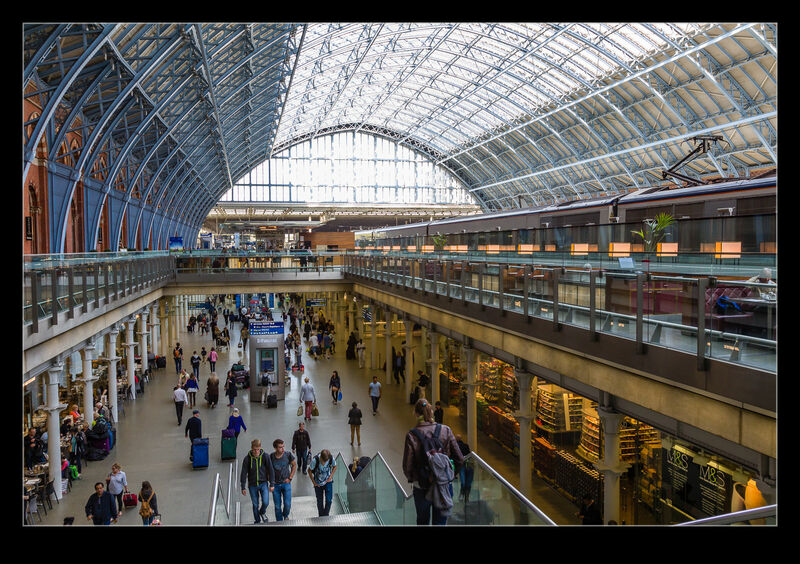 Pancras was chosen to be the terminus for the extension of the channel tunnel rail link. A major rebuild was started that involved the new high speed lines coming in, the addition of the international facilities, opening up the lower level of the station, rebuilding the Thameslink station and generally turning the place into something far more impressive. Most of this took place after we had left London so, when we were back, I was interested to see how things had changed. 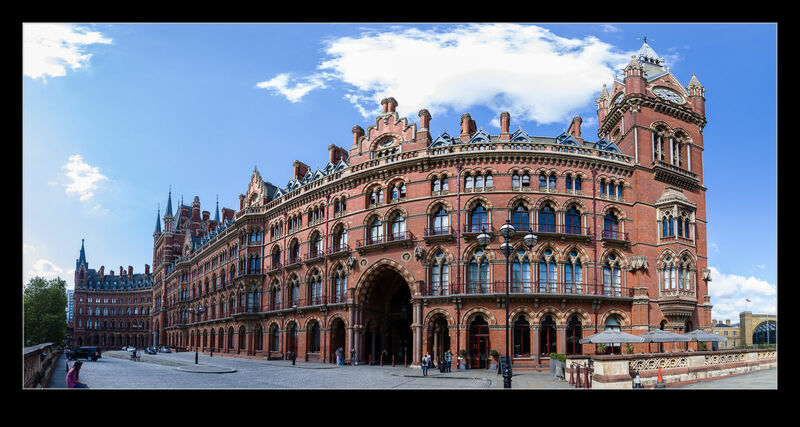 Also, Nancy had never been to Pancras before so I thought she would like the architecture. The hotel fronting Euston Road is still as it always appeared. It is a fantastic gothic structure and something that is probably worth exploring if you have the chance. Inside, the roof has been beautifully cleaned up. 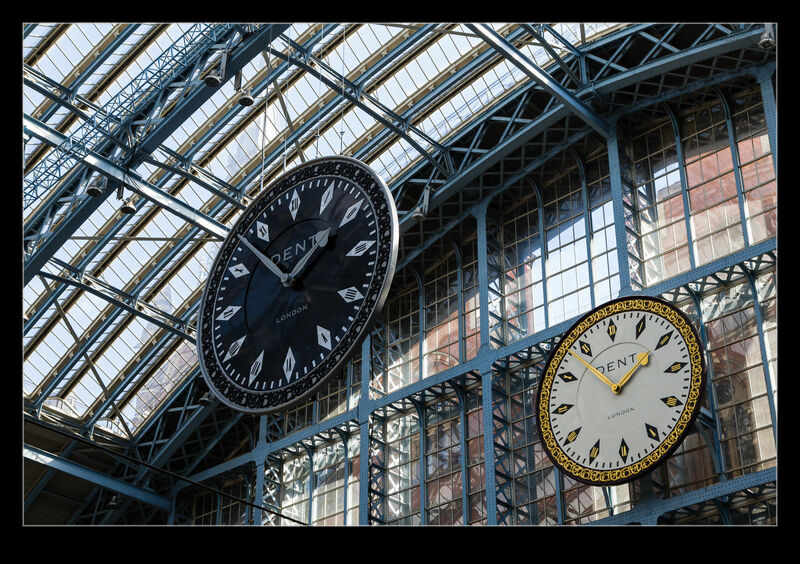 The clocks are also really cool. 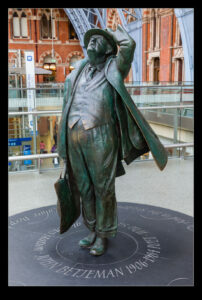 There are statues around the concourse too including one of the poet John Betjemen who was instrumental in a campaign to save the station. The lower level redevelopment is very impressive. This area used to be a storage location but now there is retail and dining on a far larger scale which should suit the significant increase in customers with the Eurostar business as well as the new commuter services that make use of the high speed link. Of course, there are also the customers for services on the Midland routes. The changes are impressive and are connected with e overall redevelopment of the Kings Cross area of which more will come. 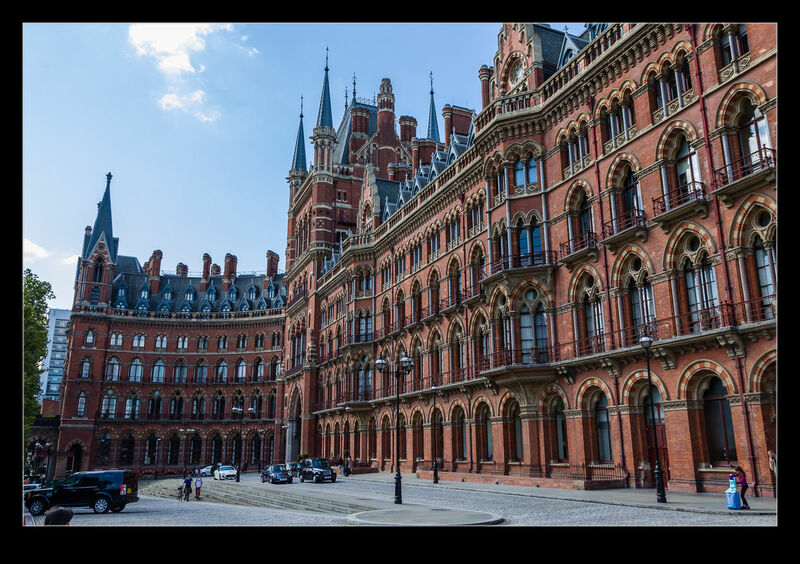 This entry was posted in photo, Travel and tagged Eurostar, hotel, london, midland, photo, rail, St Pancras, Station, terminus, train, transportation, U.K.. Bookmark the permalink.